Lee PaceSetter Dies include the exclusive Lee Factory Crimp Die to produce factory-like ammunition with improved utility and accuracy. The die set also includes a conventional bullet seater. They also include a shell holder, powder dipper, load data and are packed in the nicest storage box ever designed. These are the most copied dies in the world. 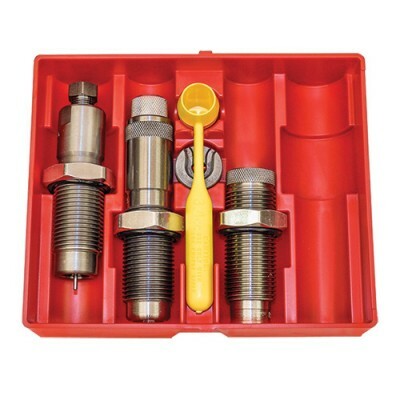 Lee 303 British Pacesetter 3-Die Set includes Full Length Sizing Die, Easy Adjust Dead Length Bullet Seating Die, Factory Crimp Die, Universal Shell Holder, Powder Dipper and Instructions/Load Data.